The New Year’s Day supermoon is the second of the extraordinary super moon trio. The first happened on Dec 3, 2017, and the third blue supermoon occurring on Jan. 31, 2018. For naked eye viewers or the people who wanted to see in the wild may get disappointed as there is the threat of rain and snow coupled with frosty temperatures. However, there is a good new. You can watch the event live stream online for free. 2 Full Moon vs Supermoon: What is a Super Moon? Here, we are embedding one livestream which will be provided by a team of astronomers running the Slooh robotic telescope service. The Slooh live stream will start at 6 pm ET in the US or 11 pm GMT in the UK on January 1. It will only be visible in the Western Hemisphere’s sky gazers. It will be due to the position of the full moon tomorrow. It also means the UK watchers will have to wait until January 2, 2018, to watch it. Thus, you are left with only one option – the livestream, if you want to watch it on the new year day. Full Moon vs Supermoon: What is a Super Moon? Do you what is a supermoon event? Super moon occurs when a full moon comes closest to the Earth in its orbit. It comes within 10% of its perigee (closest elliptical orbit). The difference between the two lies in the fact that a supermoon can be up to 14% larger and 30x (times) brighter. The longtime Slooh astronomers Paul Cox and Helen Avery will help the audience to walk through the spectacle of nature. After this spectacle, the sky watchers will get themselves busy for the next big highlight – the Blue Supermoon which will occur on January 31. It will be coupled with a partial lunar eclipse as it will pass through Earth’s shadow. The viewers in the US, Asia, and Australia may get to witness a special view as the moon may briefly turn red hue. The audiences in the western US, Pacific Ocean, Australia, and Asian parts would be able to catch total lunar eclipse on January 31st. Apart from the Slooh livestream, here we have another live coverage of the event by the Virtual Telescope Project which will start at 4 pm GMT on January 1. 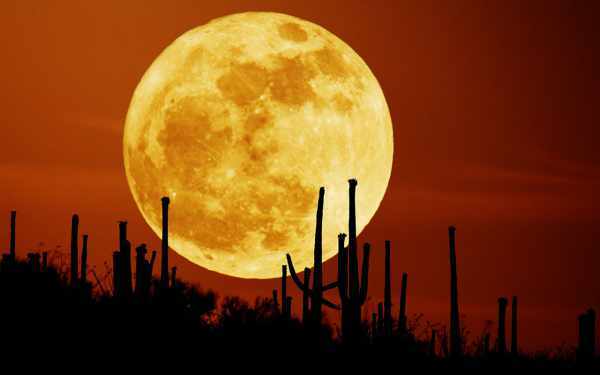 Gianluca Masi said that the supermoon will be 7% bigger and a bit brighter on Jan 1. The Virtual Telescope stream will include live commentary as the full moon passes over the skyline of Rome, Italy.